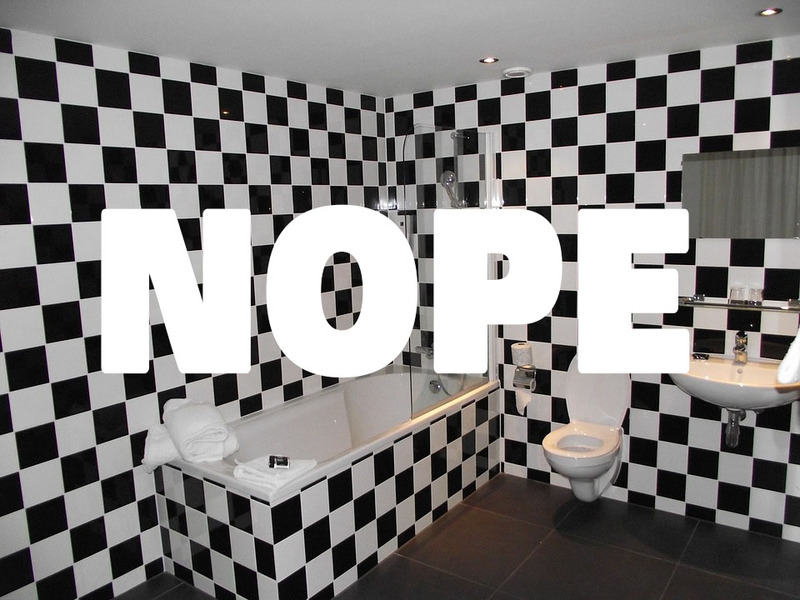 There are so many other cool, hip, trendy and moden things you can do with your bathroom tile nowadays, there is no reason for old simple alternating black and white patterns. Check out some of these bathroom tile designs we have found – perhaps some of them may make you want a new bathroom remodel or tile redesign of your own. Simply refreshing your bathroom tile can make your bathroom feel brand new again. There nothing like fresh, brand new clean caulkwork to make your bathroom sparkle! Tan and off-white is very “in” right now on new home and new bathroom rempodels. There are many fun faux-marble tiles that can be mixed and matched to create an aesthetic that is intriguing yet calm. This example takes many less-expensive easy-to-find tiles and combines them in a very artisitc way. 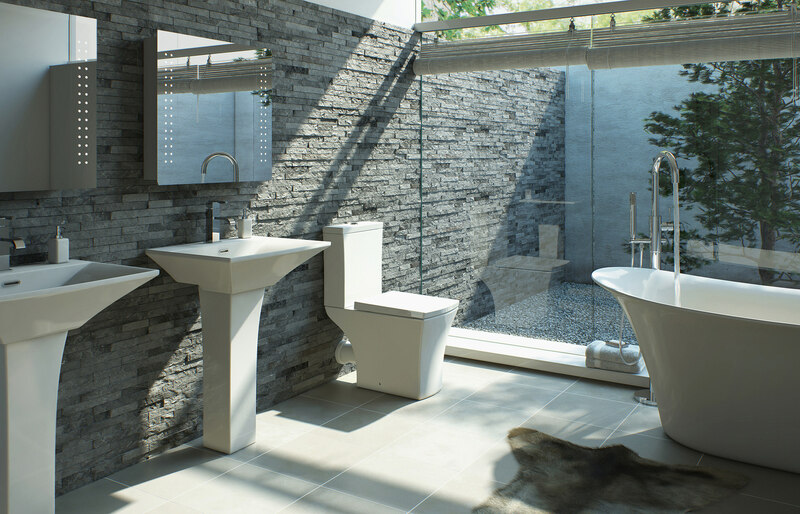 Angled cuts and very large tiles combined with small, intricate tilework make this an exemplary trendy and modern example. After decades, marble quarries arefianlly producing emough marble to meet the demands of customers. Prices are still more “luxurious” compared to traditional tilework like you see above, but the results are as luxurious as the prices. For All of your tilework and bathroom remodel needs keep Pro-Line contractors in mind, because our experts make the remodel process easy and efficient. As you can see from this modern bathroom, naturally-textured rock tile combined with modern white fixtures creates a look to be desired. Usually, terms like “bathroom” and “industrial” don’t go together. 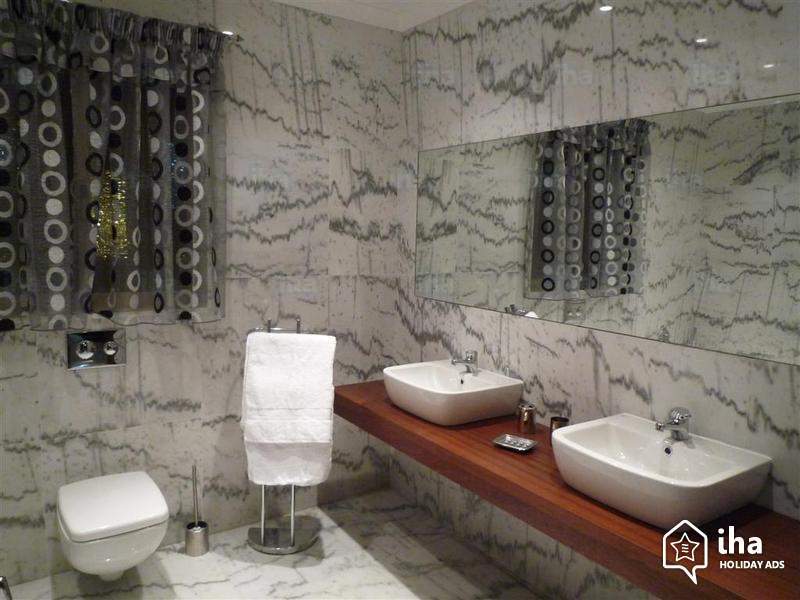 But in this example, we see huge tiles and open space tying together the style of this luxury bathroom. A splash of color with your towel choice, and color-changing LED lights around the mirror keep this dulled-grey industrial bathroom interior fun and customizable. Each of our professionals are certified contractors with years of remodeling experience. If you are looking for a more thorough bathroom remodel, we have experts in cabinetry, flooring, tiling, woodworking, electrical, plumbing and more on staff, ready to help! If you are going to go with a color, do it right. It is super-easy to get too bold and too loud with a bright color choice. Fixtures and faucets must ramain simple and other colors in the room need to be black, white, or completely muted. matching brushed metal throughout, makes it seem like it was easy pulling off this neon green bathroom!